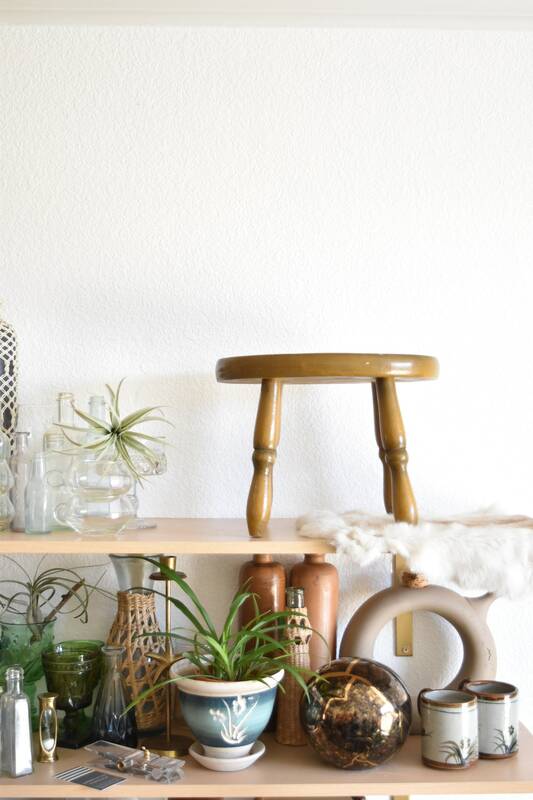 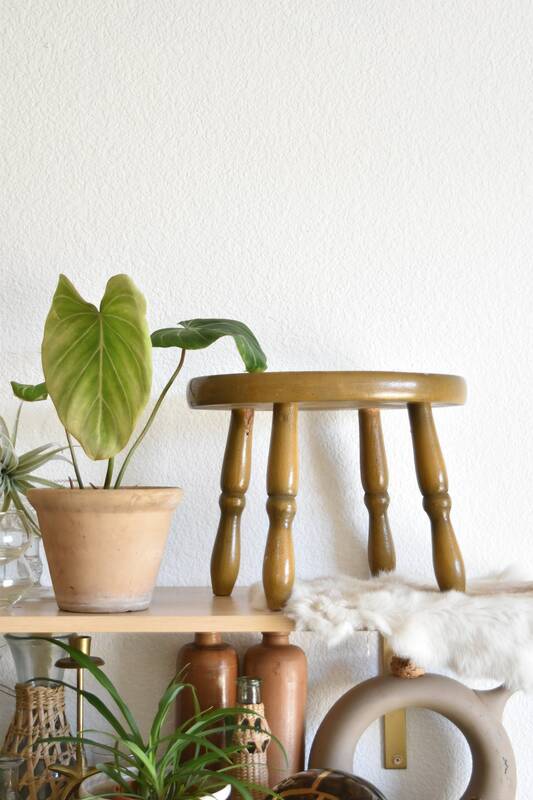 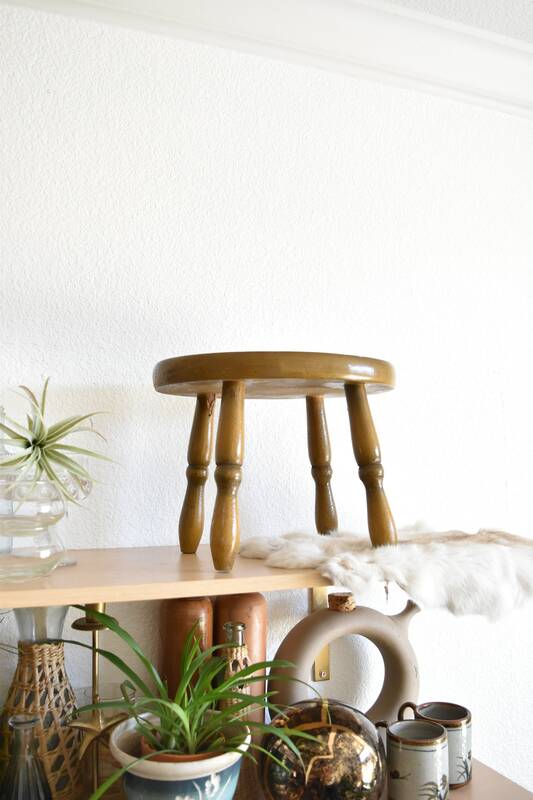 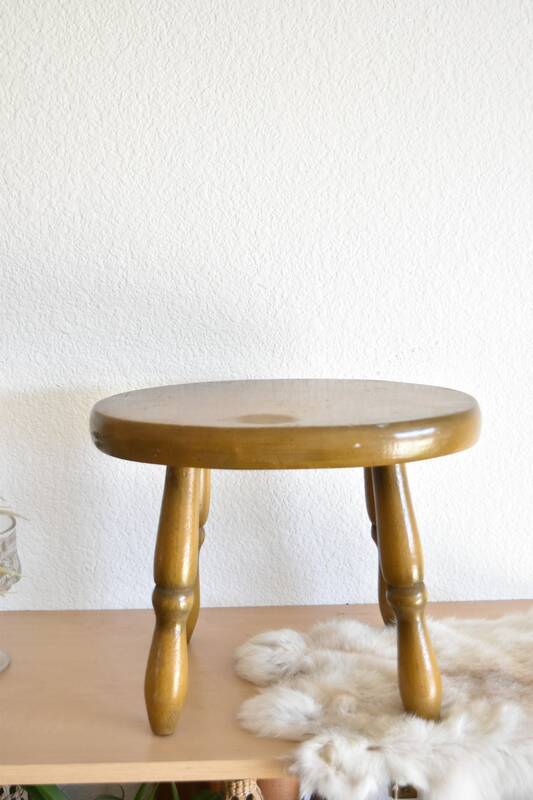 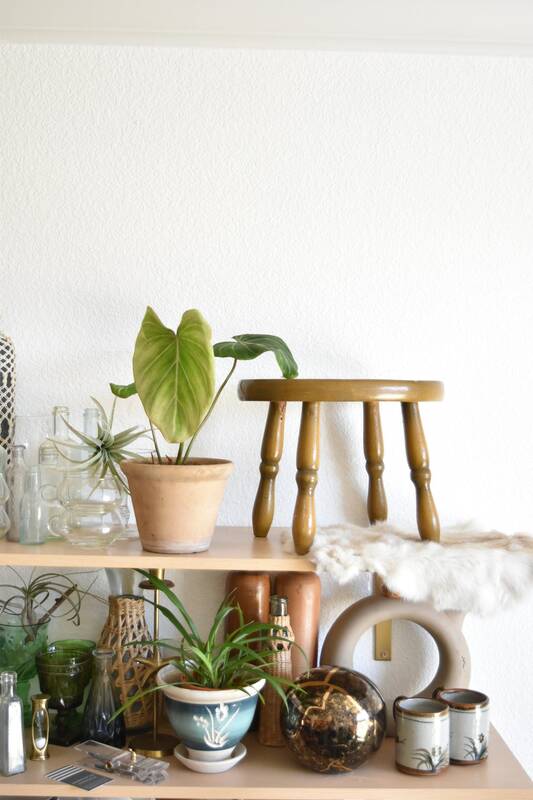 Great little wood stool perfect for displaying your plants. 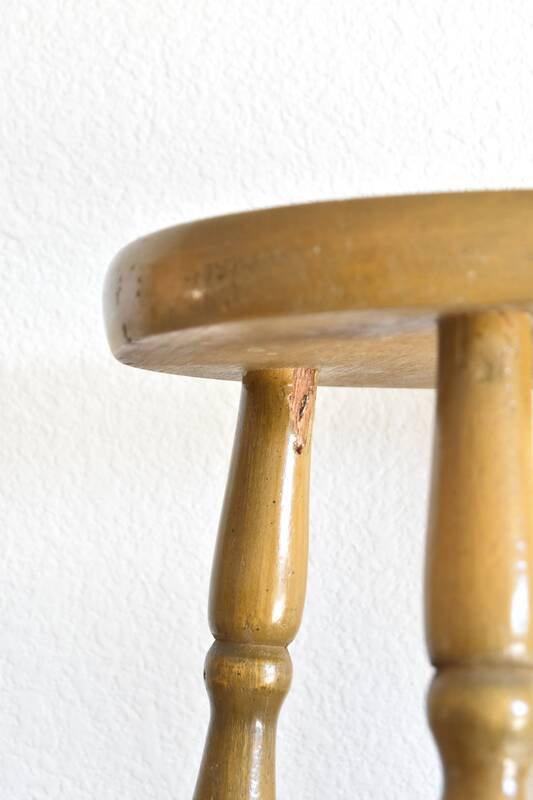 In good used condition with some breakage on one leg where nail was hammered in. 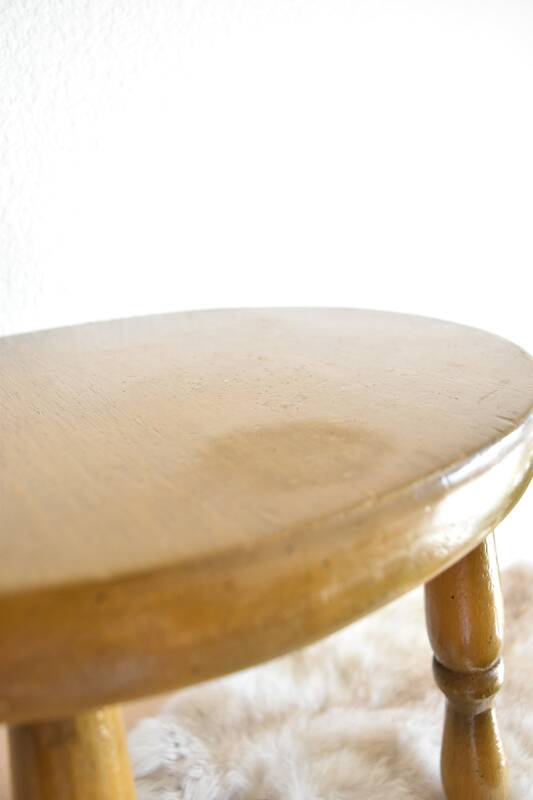 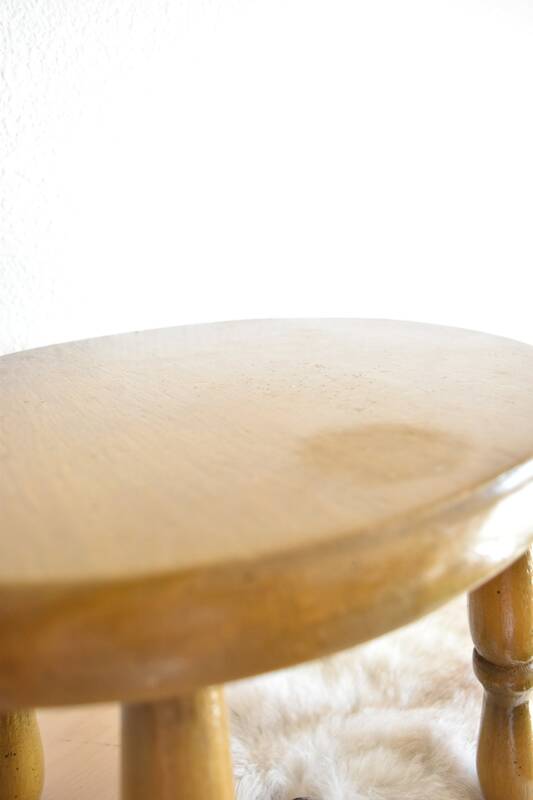 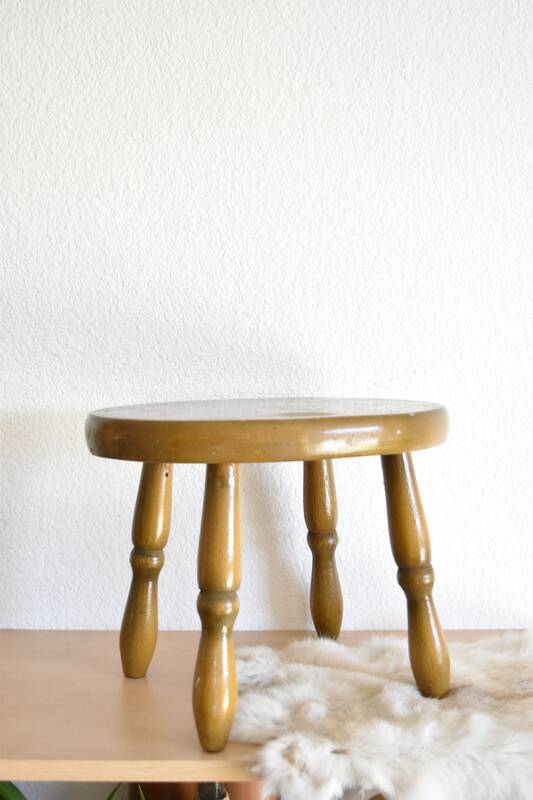 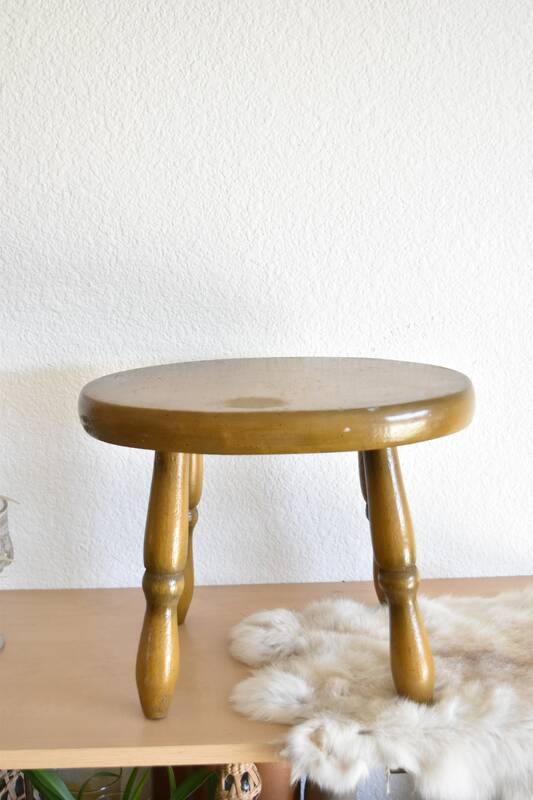 Stool is sturdy and works as it should.